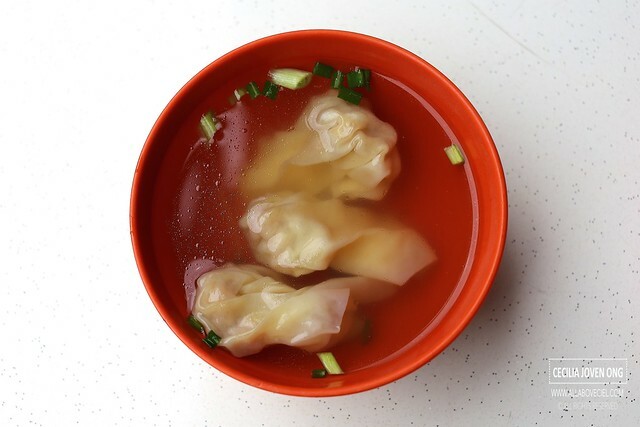 If you happen to be in Chinatown and looking to have lunch then perhaps you might want to take a little walk towards Keong Saik Street. 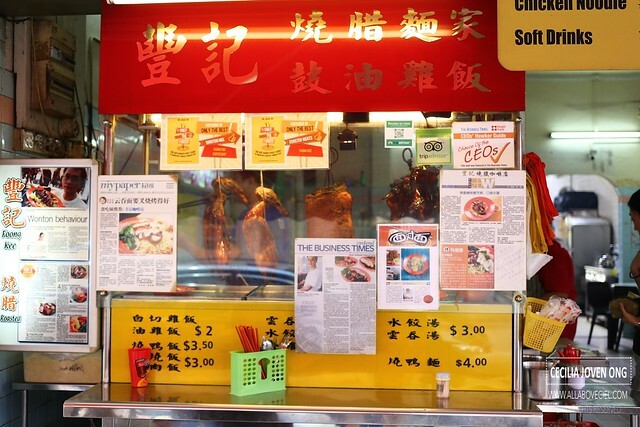 When you walk further in, you would come across Foong Kee Coffee Shop, a rather unassuming coffee shop with only a roasted meats stall helmed by the self-taught chef Wong Wai Chew. If you are a big fan of roasted meat particularly the char siew, sio bak and roasted duck, this is where you should be. You will order at the stall then help yourself to those canned drinks in the fridge, there are cups for the ice cubes and you have to self-service too. The canned drink is priced at only $1.00 per can. You will then pay with your other orders when they deliver to the table. 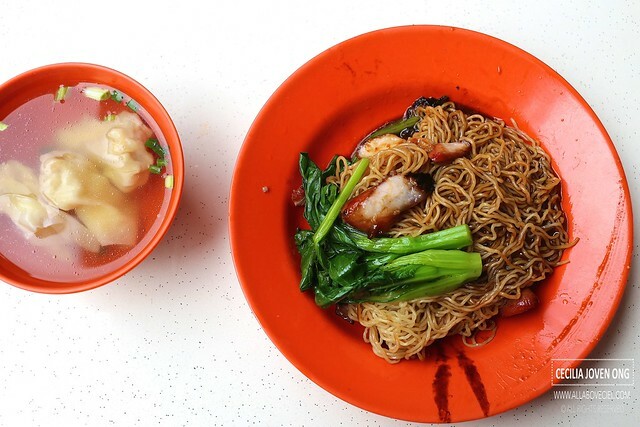 Their Wanton Mee is one of my favourite. 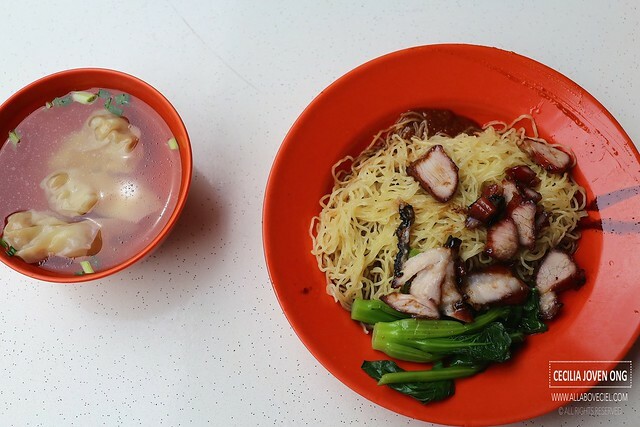 This is especially so after tasted some of the famous Wanton Mee in Katong and Joo Chiat area. 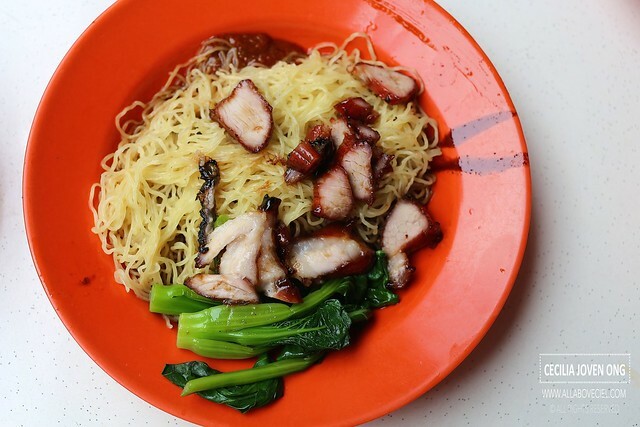 What actually distinguish this Wanton Mee and the others is their Char siew. It was perfectly roasted to slightly charred the surface and the tender texture beneath, it has a slight chewiness coupled with a nice hint of a well-balanced sweetness. To start, tossed the springy noodles in the sauce consists of a combination of oyster sauce, soy sauce, pork lard oil and chilli. Their wantons fared equally well too, it was meaty and plump with well-marinated filling wrapped in those sheets. 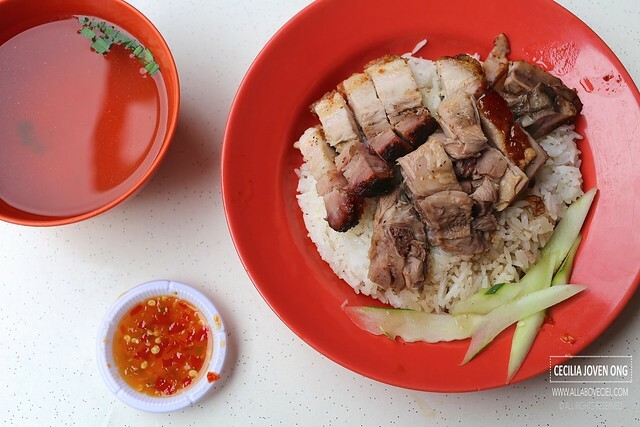 They are also well-known for their Sio Bak and Roasted Duck. 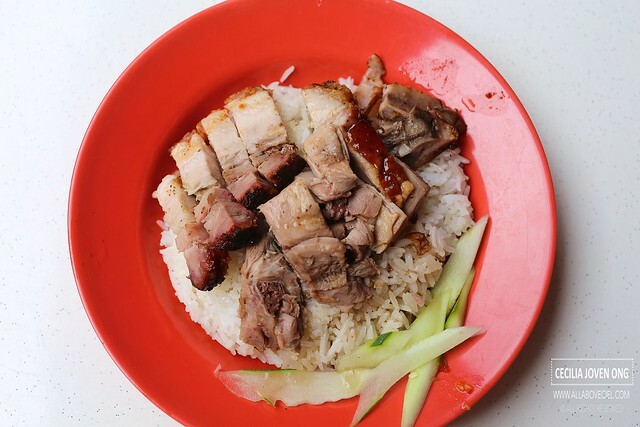 And to have the best of the both worlds, the order has to be a plate of Sio Bak and Roasted Duck Rice. I did not take notice of the price, if i remember correctly it should be $5. I enjoyed my Sio Bak a little better if it was chopped in those chunky pieces for better enjoyment. It got the perfect lean-to-fat-meat ratio and even layered, the skin was rather crispy and the meat though slightly saltish but with a desired tenderness. The Roasted Duck was their other signature, intensely flavored and succulent, it was just so good. This was a highly satisfactory lunch that left me feeling happy for the rest of the day.